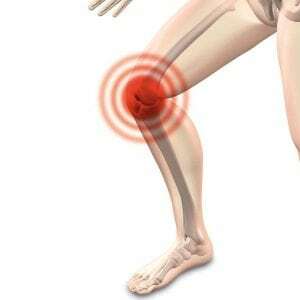 The knee is one of the largest and most complex joints in the body and it endures stress on a daily basis. Our knees absorb force equal to 3.5 times our body weight just walking down stairs. 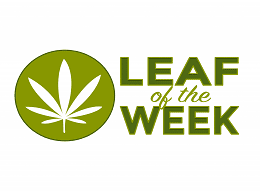 For a person weighing 120lbs, that equates to 420 pounds of force! If you exercise, you probably put more stress on your knees, and this can have consequences such joint wear and tear, injury, or osteoarthritis. Overuse will slowly but surely lead to knee injuries. Opt for a range of activities and alternate workouts. If you run, for example, alternate with cycling or swimming to use different muscle groups. If you are training for a competitive event, consider a periodized training plan. Periodization is a systematic training plan, the aim of which is to reach the best possible performance, or peak performance, at the right time. Periodized training includes the preparatory, competitive and transitional phases. The last phase is critical to keeping you active and healthy for a long time. Transition time is used for rest, relaxation and regeneration while maintaining an acceptable level of general physical readiness for the preparatory phase. The transition phase lasts 3–5 weeks and includes exercise that works muscles differently than your primary activity does. If you are a runner, this is a great time to swim, strength train and practice yoga. Even if you aren’t a competitive athlete, changing up your work out, or cross training, is a great way to stave off injury from repetitive activities. Avoid rotation of hips and knees, if you are a runner or cyclist. Jumping and slowing down from a run—common to many exercises—are particularly bad for the knee’s ACL (anterior cruciate ligament). Land with joints aligned so that hips are over knees, knees over ankles, and ankles over toes—but with some give to the joints. Female athletes are far more likely to have these types of issues than males. Cyclists frequently have hip and knee rotation issues, specifically those who are bow-legged or who regularly pedal with their knees out. This is an inefficient way to ride, as you have diminished power on your pedal stroke, but can also cause pain. In general, you want to pedal roughly with the hip, knee cap and foot in alignment. Often, knees-out tracking and alignment is the result of bad habit, compensation for a previous injury, or a result of being overweight. Active.com has a test for determining if you are knees out pedaling. If you do have this problem, talk to a personal trainer or physical therapist about exercises to correct the issue.